The Auzom Nations Cup is a squad tournament with 4-man teams. Each match day will consist of 4 rounds. The signup window for the captain role will be open from the 16th of June until the 22nd of June. Once the captain has been selected by Auzom Staff he will have until the 29th of June to provide his chosen lineup. Captains and players are not allowed to publicly announce that they have been chosen to play the Nations Cup until this has been announced on the official Auzom social media channels. Auzom reserves exclusive right to the spectator coverage of all its PUBG events. However, we would like to also encourage streams from personal perspectives of participating individuals. The official Auzom stream will run on a 8 minute delay. We would appreciate support of Auzom's event organization through simple means such as above! The Auzom Premier League is the beginning of a competitive esports community within PlayerUnknown's Battlegrounds. We wish to ensure that from day one all participants within the Auzom PUBG events act and respond to user and staff content in a constructive and responsible manner. Whilst all users have the right to express their own opinion, it is expected that members will respond to or create content on the Auzom system in a mature and non-abusive way. By registering to this system you have agreed to not post any abusive, illegal, obscene, vulgar, slanderous, hateful, threatening, racist, or sexually oriented materials whether depicted in media or text. Auzom and its partners also have many public access areas such as its public Discord channel, stream channels and its chat rooms that are provided for your enjoyment. People that are deemed to be breaching the rules while using these services will be removed for a time period at the sole discretion of the admin team. 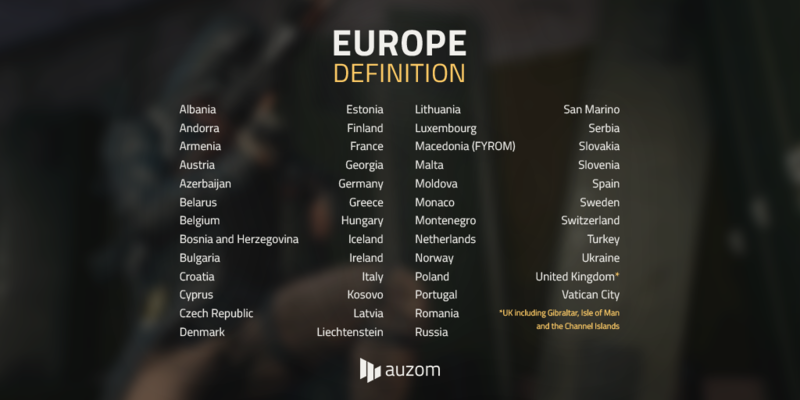 The official language for the Auzom network is English. This will be the only language used for communication between teams. All rules listed by PUBG Corp in their Rules of Conduct also apply in Auzom events. Violation of these rules will result in penalties that are decided by the staff on a case-by-case basis. The Auzom PUBG events are part of an competitive esports community and as such all members joining this system are required to show good sportsmanship when competing in any of its events. No team or member of a team has the right to degrade or talk down to another player or team based on its ability or skill level. Breaches of these rules, even outside of Auzom's network, can come with penalties/disciplinary measures as all members of the PlayerUnknown's Battlegrounds community are welcomed and encouraged to compete at whatever level they can achieve and we expect all members to encourage and support others in achieving the highest standard of competitiveness possible. The above conditions are by no means exhaustive and the Auzom staff team reserves the right to redact any nicknames or aliases where it is believed to be necessary. Alternative spellings and or replacement characters being used in an attempt to bypass these restrictions is not permitted. Team Leaders must be present on the Auzom discord 30 minutes before the round starts. The Team Leader will receive the appropriate discord role to complete the check-in procedure. All teams must be present in their designated voice channel for the duration of the event. If a team does not use Discord for communication, the team leader must be in their Discord channel to allow swift communication of admin decisions. All required information pertaining to joining the server and the slot each team is assigned will be posted by an Auzom PUBG Admin in the text channel dedicated to each server lobby. The server information must be handled discreetly. Sharing the informations with non-participants is prohibited. Teams are responsible to make sure their players are on the server and in the correct slot on time. The administration will not wait for teams or players. Time limits above may be extended by the administration if they require the extra time to resolve any issues in the administration or production side of the events. For the qualifiers, all competing nations will be divided into 4 groups; A B C and D. On the first day of qualifiers, group A will play in a lobby with group B. Group C and D will form the second lobby. On the second day of qualifier group A and D form one lobby and group B and C will form the second. The top 16 teams after two days of qualifiers will progress to the finals. All players must be legal residents of the country they play for or have a passport of that country. If a player participated in the inaugural Auzom Nations Cup they can only play for the country they originally represented. Players must be able to provide proof of eligibility. A team consists of 4 Players and a maximum of 6 substitutes. A National Team can have a maximum of 2 players from the same pro/amateur team. Region Restrictions: Participating teams must consist of players who either reside within the country they are representing or have its nationality. If a team plays a match with any player from outside their country, who doesn't have that country's nationality the team will be disqualified from the Nations Cup. Region definitions. Minimum active roster size: A team must consist of at least 4 rostered players to be eligible to compete. Maximum active roster size: A team may not have more than 10 players on their active roster. Deadline for any changes to the roster is the 29th of June 2018. A player may not lend their account to another player for the purpose of competing. A player may only be registered to one (1) team at a time. Players who have a double nationality, from within North America and Europe can not participate in both the North America Cup and the Nations Cup, but will have to choose to play in one event. The rounds will be played back to back and the teams have to join the new match lobby as soon as possible. A team must play with at least 3 players in any given match. If less than 3 players join the server in time, the remaining players will be kicked and will have to sit out that round. The team can join the next round with 3 players or more. Round points: The point system for a round. Round score: The points earned by a team based on their performance. Match: A match consists of several rounds. Match score: The total points earned for all the rounds played. Any participant is free to provide feedback in the pubg-feedback and pubg-team-leaders channels on Discord or through any other channels. Please provide as much detail in the feedback as possible. The more constructive feedback we receive the better we can adjust and improve our events. Replays have to be enabled in the in-game settings and can be requested at all times. The replays of Auzom events need to be saved for two weeks. In order to keep them, they have to be saved locally. To find the replays press "Windows Key + R" and type "%localappdata%\TslGame\Saved\Demos". Click OK, that opens a folder which contains all replays. Zip the folder of the correct replay and place it in an "Auzom" folder on your device. In case your replay is requested, send in the zip file via the given Google Form. Replay requests will be done each matchday, when randomly selected players will be asked to send their replays. Previous bans will be reviewed on a case-by-case basis. Players with previous bans will be put in "quarantine" and can not participate in Auzom events until their case is reviewed and a decision has been made. When players are allowed to play after review they will be asked to record their matches and keep the recordings. Recordings can be requested of them at all times. Not being able to deliver the recordings will result in penalties. Cheating is unacceptable in all forms. Additionally, any use of glitches in the game is strictly prohibited. Players and teams caught cheating and/or glitching will face penalties on a case-by-case basis. The Auzom Admin team reserves the right to override any rules stated above if a situation requires it. This rule will only be exercised in extreme situations where the standard ruling is not deemed either sufficient and/or fair. What is considered as "extreme situation" is at the sole discretion of the admin team.